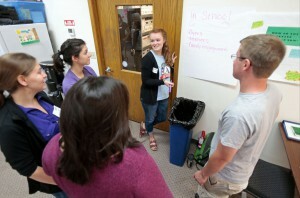 One of United Way’s trademark programs is shifting strategies this fall to make sure more students succeed in school. This year, Schools of Hope celebrates its 20th anniversary as a major volunteer tutoring project in Dane County. The Wisconsin State Journal reported on the program’s new focus to ensure tutors are having the greatest impact possible on students’ lives.